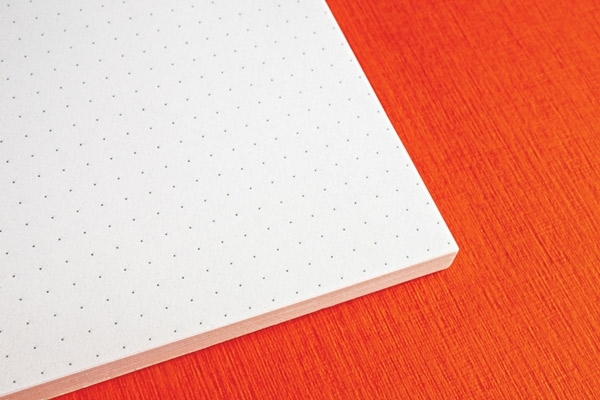 Perfect for writing and drafting with pencils, ballpoint pens, fountain pens, and marker pens, each notebook contains multiple sheets of 85 gsm, off-white paper in either a grid pattern or a dot pattern. Choose gluebound, spiral-bound, or staplebound notebooks. ® Fabriano is a registered trademark.